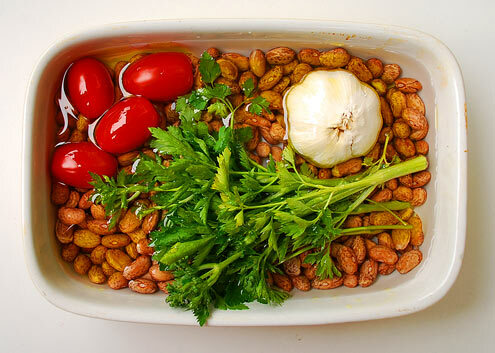 Put the soaked beans, whole garlic bulb, tomato(es) and parsley in a ceramic oven-proof dish. 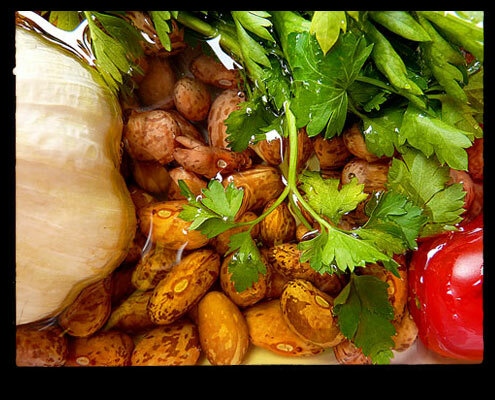 Pour over some water until the beans are covered to a depth of 1cm and then drizzle with olive oil. Cover with tin foil and pierce with 2 small holes to allow some of the steam out. Put in the oven and bake for an hour and a half. Remove from the oven and discard the parsley. Squeeze the pulp out of the tomato(es) and discard the skin. Squash the garlic with a wooden spoon to squeeze out the juice and then discard. Season with salt and pepper and mix everything together. Toast some bread. Scrape topside with garlic and then squeeze/rub over the ripe tomato. Sprinkle with crushed dried chilli and oregano and then drizzle with olive oil. 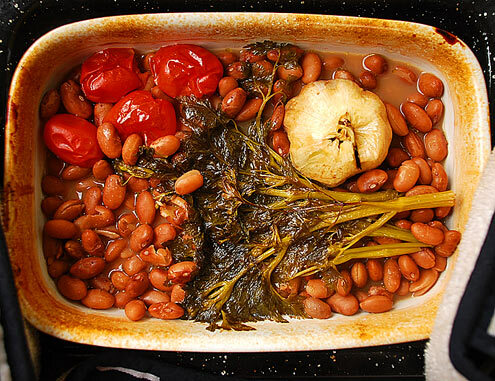 Season and spoon over the baked beans. 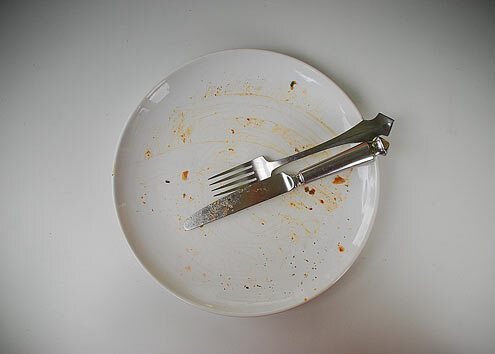 Verdict: A great weekend brunch treat. Better than Heinz. Delicious. 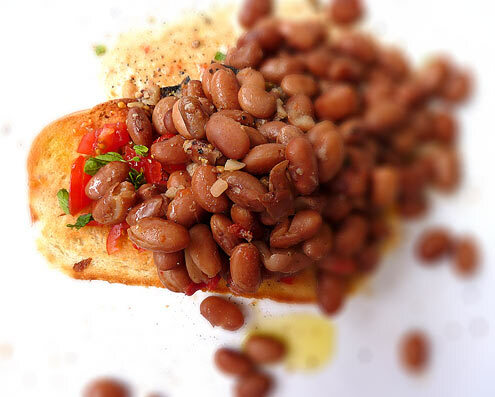 Experiment with different bean/herb combos. Entertainment: Test Match Special on 5Live. Tuffers was off to the O2 to see Lady Gaga. Cheers Richard.. enjoyed the Haricot and tinned tom combi on weekend. I nearly asked for the “Daddys” but thought better of it. Hi Tony, it’s a pleasure. You, like all our readers, are welcome to stay anytime. We are too middle class for Daddies – we prefer Oxford Sauce. The result (cooked the following day by a Frenchman), was that even after 2 hours cooking they were a bit fluffety in the middle, suggestive of a lack of soakage. I also used coriander instead of parsley because I picked up the wrong bunch in the shop… All in all it was good, especially with the naughty mid-week lunchtime glass of rosé de Provence. I just need to practise my soaking.